Salvaged wood, we have a lot of it hanging around our house, why? Because I have two engineers in the family, one a fully grown professional and one a young aspiring ‘wanna be’ therefore construction sites are everywhere; in the garden, in the garage, in the shed and even on the desk in a certain untidy teenagers bedroom! As a creative person myself, I find it a joy to be around others with brains full of ideas. The mess is fine, it means a project of work is in progress. I must tell you, I can count on one hand the number of times my son has ever declared himself ‘bored’ not bad considering he is now 16 eh? 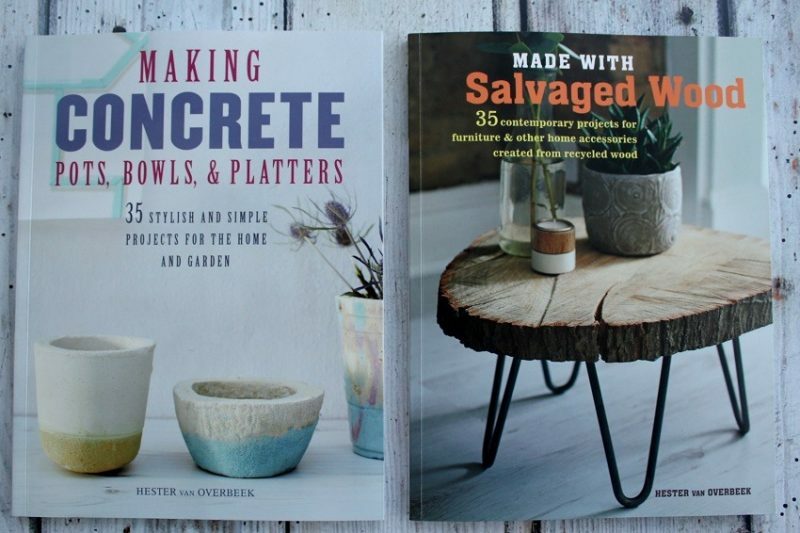 So to receive a new book to review that they both want to read after me is great news, it means I can request all the cute things within its pages to be made for the house! 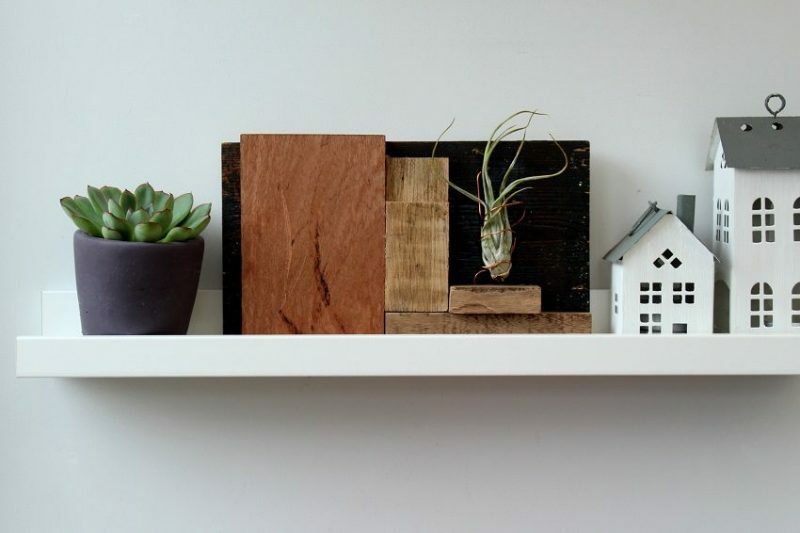 Made with Salvaged Wood by Hester van Overbeek. I have previously described the feeling I have when I first flick through a new book. If it draws me in, inspires me and makes me want to put the kettle on and settle down with a cuppa for a slower more leisurely read, then I know it’s a good one! 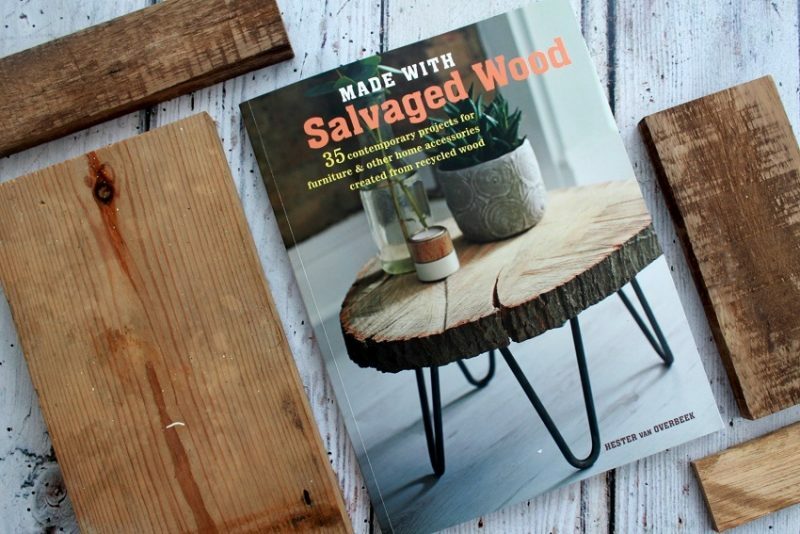 Salvaged wood has 35 contemporary simple and stunning projects for you to make with salvaged or recycled wood and other bits and pieces. 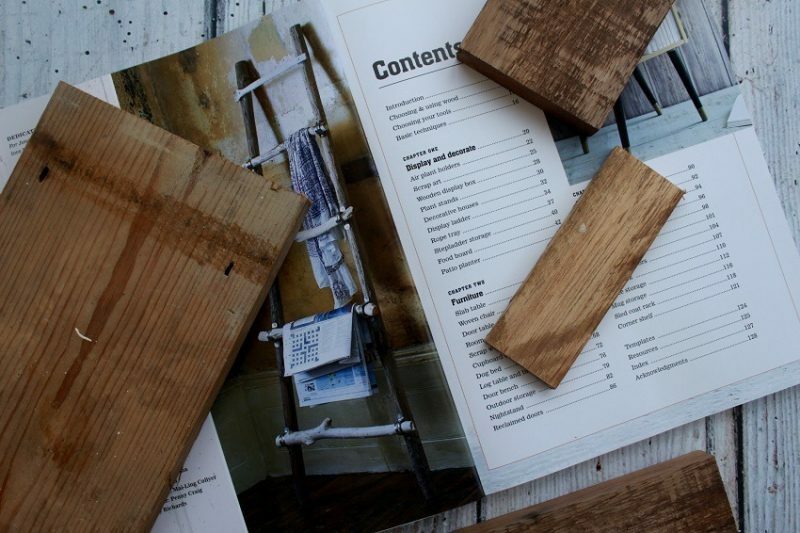 Hester gives you plenty of down to earth tips on using tools too. I have an air plant, I have had it for over a year. A holiday souvenir from the Eden project in Cornwall and as such precious to me. Now that little plant has been moved all over the house as I tried in vain to find a safe haven for it, somewhere not too hot, not too cold and out of harm’s way. The wire keeps the plant in place and it is so easy to spray the plant with water every couple of weeks, without drenching everything else. 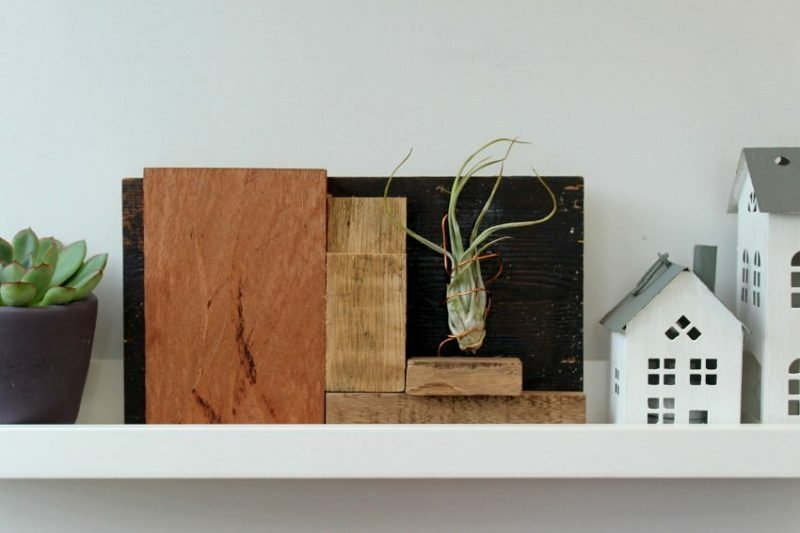 I am now on the hunt for a similar sized air plant so I can make another piece of ‘wood scrap art’ to contain it and sit beside the other one. 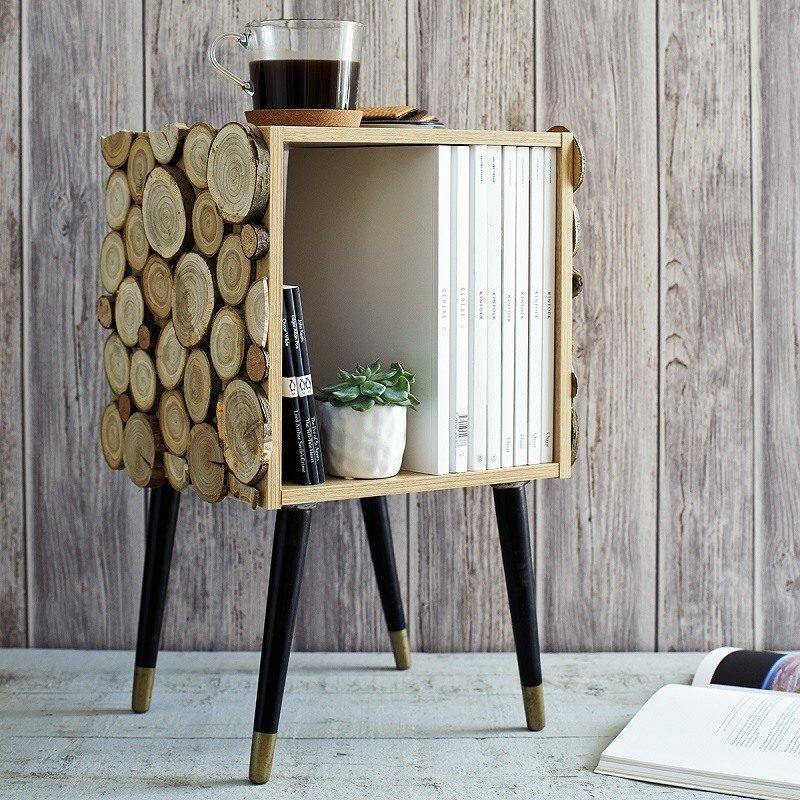 The book is cleverly divided up into sections; display, furniture, shelving and storage. 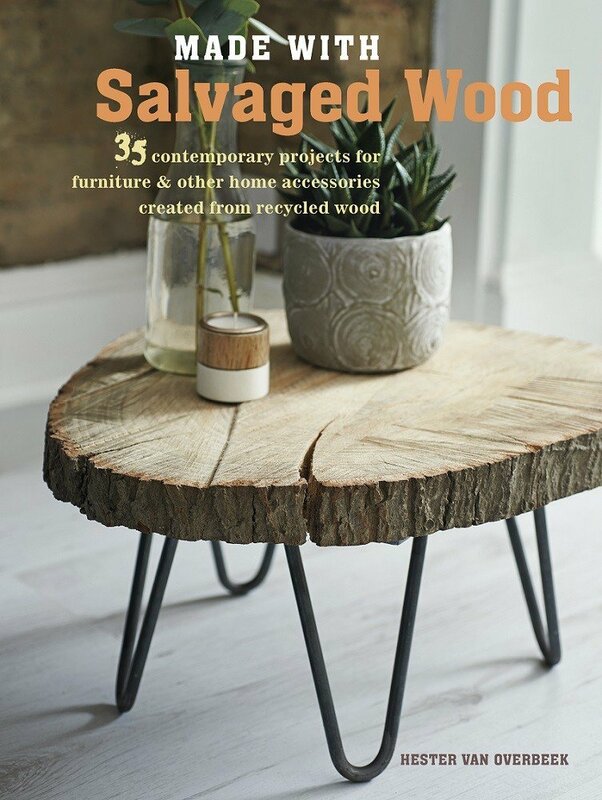 There truly is something for everyone so get the hammer and nails out and start collecting up your salvaged wood! Previous Post My top 3 Denim picks from JD Williams Autumn range.